Graduate students at UC Berkeley have ample opportunity to participate in a robust program in Jewish Studies. Students earn degrees in a chosen academic discipline while taking relevant courses and pursuing scholarship and research under the guidance of our world renowned faculty. Prospective students apply to a graduate program in an academic department of their choice. Once they have enrolled, they have the opportunity to add the Designated Emphasis in Jewish Studies, described below. Typical doctoral programs of interest to our DE students include, but are not limited to, Comparative Literature, English, German, History, and Near Eastern Studies. The DE in Jewish Studies provides curricular and research resources for students who want to concentrate on Jewish Studies within their respective disciplines and have their work formally recognized in their degree designation. Designed to bring together faculty and students from different departments, the DE is administered by the Graduate Group in Jewish Studies and provides a unique context for rigorous cross-disciplinary research. Students applying to the DE must be prepared to integrate high-level research in Jewish Studies into their coursework, qualifying exam, and dissertation. Requirements for Admission: Students will be required to fill out a form requesting admission, listing their prior preparation in the field, and their projected pathway through the program. In addition, they should submit a brief essay stating interests and reasons for applying, a CV, a writing sample, and a letter of recommendation from a faculty member in the student’s home department indicating why and how the student would benefit from the DE in Jewish Studies. 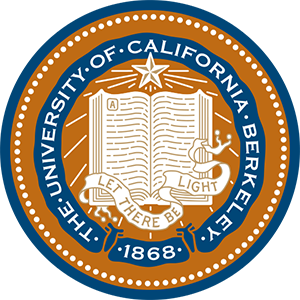 In keeping with UC Berkeley requirements for a Designated Emphasis, students must be admitted to the DE prior to taking their Qualifying Exams. We recommend applying during the first or second year of graduate studies, so that students have plenty of time to incorporate DE coursework and thought processes into their programs well before exam preparation begins. Admission to the DE will be determined on the basis of how coherently and logically the student can articulate the value of the DE for her/his larger course of study and career goals, as well as on the quality of the written work. Normative time considerations: Given the flexibility of the program, the completion of the DE will have no impact on Normative Time to degree. Students will be required to complete the course Jewish Studies 290 “Modern Jewish Scholarship: History and Practice,” which will serve as the integrative course for the program regarding methodology and research skills. This course can be offered by any faculty member of the Graduate Group in the DE in Jewish Studies, and will likely rotate among core faculty. The course topics will thus vary in accordance with the specific expertise of individual faculty member(s). Jewish Studies 290 is a 4-unit graduate seminar.The course will be a combination of standard seminar format with shared readings and discussion, and individualized research and writing. The goal of this course is thus two-fold: to provide cohort cohesion and intellectual exchange across disciplines, and to provide the necessary intellectual background for top quality scholarship in the field of Jewish Studies. The course will have a strong practical component, including engagement with bibliographical resources and scholarly practices essential to doing work in the field of Jewish Studies. Students will write a 5000-word article to complete the course, using a bibliography that includes Jewish Studies materials. The content of the article will be determined on an individual basis with attention to the students’ research interests.This course will be offered once every two years. The faculty members offering Jewish Studies 290 are core members of the Graduate Group for the Designated Emphasis in Jewish Studies. Students in the DE will also complete three additional course electives relevant to Jewish Studies, which must be approved by the Graduate Group’s Curriculum Committee. These courses will support the interdisciplinary nature of the program, with attention paid to the individual students’ research interests. At least one of these courses must be taken in a Department outside the student’s major area of study or chronological period. In general, electives are graduate seminars, but an appropriate upper-division undergraduate course may be approved if the student completes a graduate-level assignment for the course. One of the three electives may be fulfilled by repeating Jewish Studies 290, provided that the topic of the second course differs from the previous Jewish Studies 290 taken. Students will be provided a list of potential elective courses offered by the different departments sponsoring the DE. A student may petition the Advising Committee to approve a course not on the established list. Examination: A member of the Graduate Group in Jewish Studies must be a formal member of the PhD Qualifying Examination committee. Under most circumstances, the Graduate Group member in the student’s home department will serve in this function. A member of the Graduate Group may also serve as the outside member of the Qualifying Exam committee if not a faculty member of the student’s major. A Jewish Studies topic must be included as a subject on the Qualifying Examination. Satisfactory performance on the Qualifying Examination for the PhD will be judged according to the established rules in the student’s major program. Dissertation: A member of the Graduate Group in Jewish Studies must be a formal member of the dissertation committee. The dissertation must relate to Jewish Studies (History, Literature, Culture, Arts). In 2016-17, faculty affiliated with the DE are Robert Alter, (Emeritus) Comparative Literature and Near Eastern Studies; Kenneth Bamberger, Boalt School of Law; Joan Bieder, School of Journalism; Benjamin Brinner, Music; John Efron, History; Claude Fischer, Sociology; Ronald Hendel, Near Eastern Studies; Chana Kronfeld, Comparative Literature and Near Eastern Studies; Ann Swidler, Sociology. The undergraduate minor program in Jewish Studies involves faculty from a large number of disciplines including Arts and Humanities, Social Sciences, and Law, and students may choose from a range of exciting offerings from across the breadth of Jewish Studies inquiry. After completing an introductory survey course, students in the minor may take classes and seminars offered within the Jewish Studies program itself, language courses in the Near Eastern Studies (Hebrew) and German (Yiddish) Departments, hands on experiential learning through the Magnes Collection for Jewish Art and Life, and relevant courses offered in departments including History, Comparative Literature, Near Eastern Studies, Music, Sociology, and Political Science. The program allows students to work closely with members of the faculty, to be mentored by graduate students, and to participate in the intellectual life of the broader Jewish Studies community on campus. Application instructions for the minor (Word Document). The minor in Jewish Studies is designed to give students an overview of some of the major themes in Jewish Studies, and cultivate the potential of budding Jewish studies scholars among the undergraduate population. In addition to gaining a certain minimum breadth of acquaintance with the field, students have the opportunity to explore a particular interest among the varied topics and areas presented by Jewish Studies. The Jewish Studies minor is open to all UC Berkeley students. Complete the preliminary course: The Cultural Legacies of the Jews (JS 101). Complete four upper-division courses from the approved list of elective courses (please consult the Center for Jewish Studies regarding any elective distribution requirements). Only one elective may be a 2-credit course; the other electives must be taken for 3 or 4 credits. The study of Modern Hebrew, Biblical Hebrew, or Yiddish is encouraged and is essential for some but not all of the courses; however, there is no language requirement for the Jewish Studies minor and only advanced language courses are applicable to the minor. Complete at least four of the five minor courses at UC Berkeley. Any transfer course must be approved by the Jewish Studies advisor. Take ALL courses for the minor for a letter grade. Maintain a minimum overall GPA of 2.0 in the courses used to satisfy minor requirements. Use no more than one course to satisfy requirements for both a major and the Jewish Studies minor. A completed Jewish Studies Minor Application Form (link above). A completed Jewish Studies Minor Program Worksheet (link above). A current copy of your UCB transcript printed from BearFacts with your name printed on the document. Please highlight all courses that apply to the minor, including courses in progress and transferable credits from other institutions (community colleges, study abroad). Also, indicate which course (if any) will overlap between the JS minor and your major. We do not have access to transcripts in the Registrar’s Office. Students must request copies themselves and submit them with their applications. Please highlight all courses to be applied to the minor. Copies of transcripts from colleges other than UC Berkeley if course work is to be counted towards the minor. Transcripts may be unofficial. Once admitted, minors are required to contact the Jewish Studies minor advisor at least once each semester to get approval for any changes to their program. Fill out the following two forms: “Completion of L&S Minor” and “Major-Minor Overlap Check form” and submit both forms to JS Minor advisor no later than the fifth week of classes of your final semester before graduation. The College of Letters & Science will be notified of minor completion approximately four weeks after the final minor course has been completed for inclusion in student’s diploma.